FireDrum's permission-based email marketing service combines an easy-to-use, web-based application with magazine-quality templates that can be custom designed to suit your marketing goals. Work for FireDrum Email Marketing? "Is FireDrum a hit or a hit"
The FireDrum group comprehends the necessities of our business and tweaks their way to deal with guarantee our business and marking targets are met, if not surpassed. They allow you to email to purchased lists and keep control over the email design and execution. The design system could be more robust, would prefer full engagement automation, and connectivity with Salesforce. FireDrum is one of the few email marketing platforms that allow you to upload purchased/rented lists (they require you to use their list cleaning service, but the cost is very reasonable, and in my experience, around 75% of the emails come through the cleaning), while also keeping control over the email design and execution. I would like their design system to be a little more robust, and I would like to have full engagement automation options, but for the price, I think it's a great option, especially for small businesses. "Fire drum email review "
I’m pretty neutral so as far as saying what I like best about this particular email, there wouldn’t be anything different really except the fact that it seems to be more hidden and unknown to the world or the majority (regular) society.I love how many emails can go out at once in bulk getting rid of all the extra work. Templates are great. Already basically answered the question up in the what do you like best about this, since I’m neutral to this marketing email.however it’s a bit costly every month. Not really... too expensive and basically buzzstream has been around for awhile everyone knows them already. Cheaper. Bulk emails being processed and sent out all at one time makes it much more easier and it saves on a lot of time. "Amazing service - Great Customer Support"
I like the customer service they provide with my 1000's of question, the easy of the products, the quickness they respond, in addition to the updates they consistently provide me. The FireDrum team understands the needs of our business and customizes their approach to ensure our business and branding objectives are met, if not exceeded. They were not able to quickly resolve disruptions in service that occurred as a result of a change to a new platform and a system hack. The positive is that FIreDrum was able to resolve the issue eventually. It's very easy to use. I like the big amount of pictures they have. I also like the email studio. It's a little confusing at first, but once you get the hang of it , it gets better. We use it to send advertisements out to old and new customers. We have not had an issue with this company that would cause us to say there was a step we did not like. Email is very easy to use. Layout is simple, makes it easy to find what you’re looking for. I don’t really have any negative thoughts about this product. It’s cutting out the middle man for us. It’s more personal. "Match your marketing target with Firedrum." The web interface of this software is very easy to understand and I found its delivery speed quite good. It sends my campaigns in real time. It lacks on transactional email feature. They should include it. People from all industries who require email marketing tools can use this software efficiently. It gives good results. I find it suitable for sending newsletters to my clients on regular basis. "FireDrum is The Best Email Marketing Service Out There"
Try it and you will not regret it... you will forget about all other options out there! "Firedrum Marketing is Responsive and Throrough"
Every time I ask for assistance on a project they deliver! nothing. We have a great relationship and when I need to go over things, they work with us! 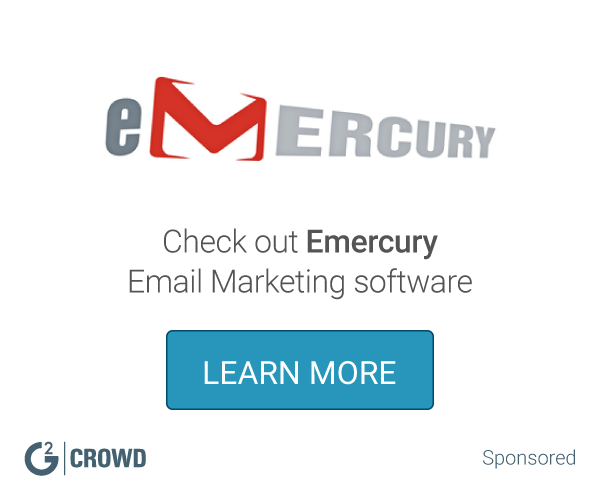 Learning about FireDrum Email Marketing? * We monitor all FireDrum Email Marketing reviews to prevent fraudulent reviews and keep review quality high. We do not post reviews by company employees or direct competitors. Validated reviews require the user to submit a screenshot of the product containing their user ID, in order to verify a user is an actual user of the product. Hi there! Are you looking to implement a solution like FireDrum?